My name is Michael Purcell and I am a Transition Year student in Thurles CBS. Tipperary. 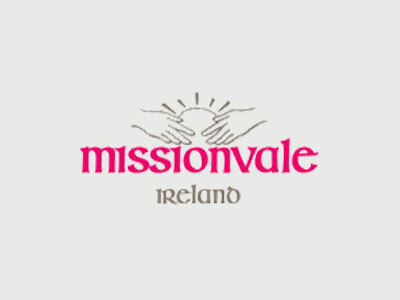 In January 2015 I was lucky enough to be part of Missionvale Ireland 2015, a charity that once a year organises a group of workers to travel to the township of Missionvale in South Africa as volunteers to work on construction projects in the Missionvale Care Centre. The project planned for this year was the completion of a rainwater harvesting network and the construction of a large storeroom. Missionvale Ireland was set up in response to what many Irish witnessed and experienced during a 10-day working visit to Missionvale in Jan 2008.The Centre was established by Sr Ethel Normoyle from Lisseycasey in Co.Clare. The primary aim of the centre is to provide financial support, to relieve poverty and provide education, medical, spiritual and humanitarian aid to the people of Missionvale Township. Believe me it does all this and much much more. As I left for Port Elizabeth on the 24th of January I really didn’t know what to expect. Being from Tipperary I didn’t know any of the other volunteers (who were from Limerick and Clare) but as soon as I reached the airport I felt immediately welcome. This was to be a characteristic of the trip in general. Upon reaching the care centre at Missionvale (we had 3 long flights and arrived 14 hours later) we were welcomed by Sister Ethel and the local choir. It was extra ordinary. Nearly 50 people singing as we got off the bus. Without even words you can tell this is a very special place as everyone smiles and welcomes everyone with real pride. We were given a tour around the care centre. We were also shown the tree under which Sister Ethel started the whole project. This made me realise even more the amount of work that has been done. It was only then that I fully realised the extent of the work carried out by Sister Ethel and her team as well as previous Irish volunteers. On the bus journey to the centre each day . ( Its up at half 6 to get breakfast and in the bus for quarter past 7) it is surreal to slowly see all the galvanised shacks – galvanise and chipboard are all that make up so called houses – stretching as far as the eye can see. I was really shocked by the level of poverty in the area. Immediately work begins on the projects. I was working on the water harvesting project to collect rain water for use in the gardens It was tough work digging by hand mixing concrete and pushing wheel barrows (all the unskilled work!!) but really really enjoyable and all the others were so helpful and good fun. The work continues like that everyday and there’s plenty to be done and although it’s tough work, strangely hard work becomes enjoyable and time passes too quickly. Some days we got a bit distracted – playing hurling and football with the school children,- we taught them how to “pull hard” Other days we were like a free lift service for the school boys as they would jump into the wheelbarrows when we emptied out the concrete and go for a spin. On the second last day we visited the sick in their homes in the township along with a group of nurses. We followed them around as they carried out their daily work visiting patients. This for me was very interesting because it gave me an insight into the struggles of the local people. We had a memorial service in the church one day, Father Donagh O’Meara (the coolest priest ever) lead it and all the locals attended. They sang and danced in the church and it was amazing. The personal connection that I felt with some of the local children who visited the care centre on regular bases is something I will never forget. This was a brilliant humbling and rewarding experience and I would encourage everybody who is lucky enough to get this opportunity to take it. Hopefully I will return some day.